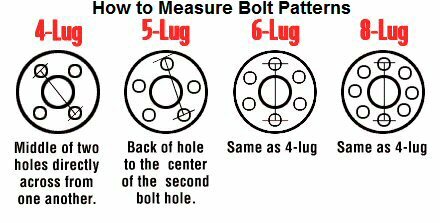 It seems that a lot of people don’t know how to properly measure the bolt pattern of a wheel to know if it will fit their car. For Chevy, it should be 5×4 3/4″ where 5x means 5 lug. I ran across this diagram a few years back on a forum and thought I’d share it here. I don’t know who made it or if they’d be upset if I shared it… so, if this belongs to you please let me know!